When you’re chasing really big fish, you want the best speargun possible. And in the open ocean, bigger is better. To take down a monster tuna or wahoo, you need a speargun version of a bazooka. And that’s where the blue water speargun fits in. It’s been specifically designed for power and distance, allowing you to hunt some of the biggest fish in the sea. But this is the part of the sport that starts getting expensive. There’s plenty of manufacturers out there who make great blue water spearguns, and many of these will set you back upwards of $1500 or more. Often a lot more. My most expensive speargun cost me a little under $3,000. Don’t get me wrong, it’s an awesome speargun, but it’s also a lot of cash to drop. Now here’s the interesting part. 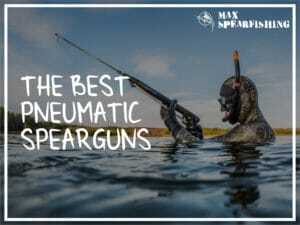 We’ve done a bunch of tests on the best pneumatic, cheap and spearguns in general, and it was quickly apparent that the most expensive guns aren’t always the best. So, a few weeks back we put the blue water spearguns to the test. And discovered a few different options that won’t break the bank. Hands down this is one of the most ultimate spearguns you can buy. If you’re after an award-winning fish, or a catch that you can brag about to your friends for years, you need this speargun. 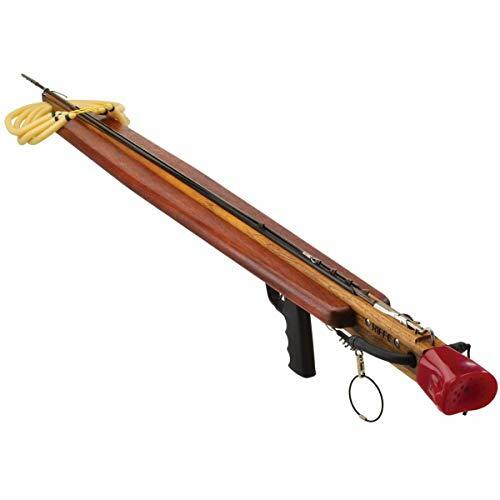 It’s a teak stock with padauk “wings” which adds stability to the massive length of this speargun, while the enclosed track prevents your shots flying off-course, even when you’re pushing distances out to 25 or 30 feet. 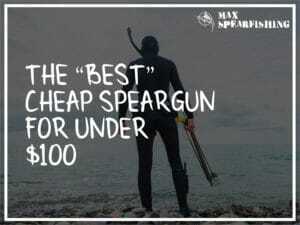 You will not find a better speargun at this price range. 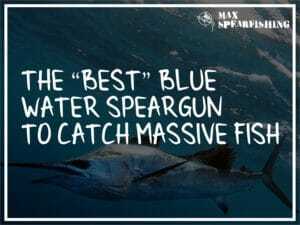 Of course, there’s a few others we tested to find the best blue water speargun, you can see the results below. What I love about the Koah Twin Roller speargun is you get all the power of a massive blue water speargun in a weapon with a barrel only 135cm long. Designed to hold two power bands, this speargun uses 4 delrin ball-bearing rollers to ensure the maximum velocity in every shot. Plus, if you happen to take this gun on a reef dive or need a little less power in your shots, there’s two different positions for the bands which allow you to change up the power considerably (while you’re in the water). Very impressed. AB Biller is one of my favorite brands when it comes to value for money spearguns, and their limited edition series is perfect for blue water hunting at 60″ (152cm). You’ve got the option to buy the AB Biller LTD in teak, mahogany or padauk, but personally I love the teak finish. 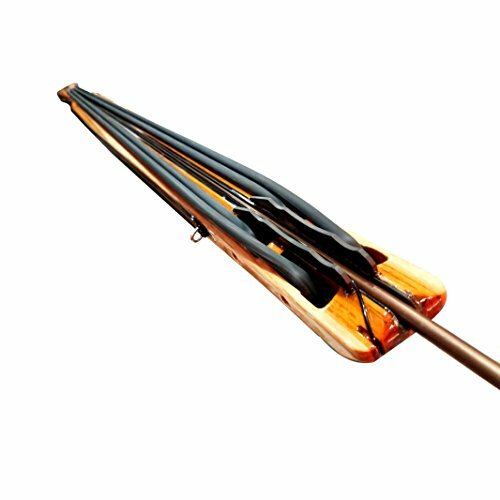 The trigger mechanism is installed directly into the wooden stock barrel of the speargun for extra durability, and it comes standard with a 7.9mm stainless spring-steel shaft. 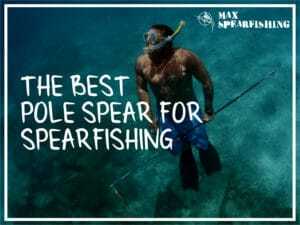 What to consider when buying a blue water speargun? 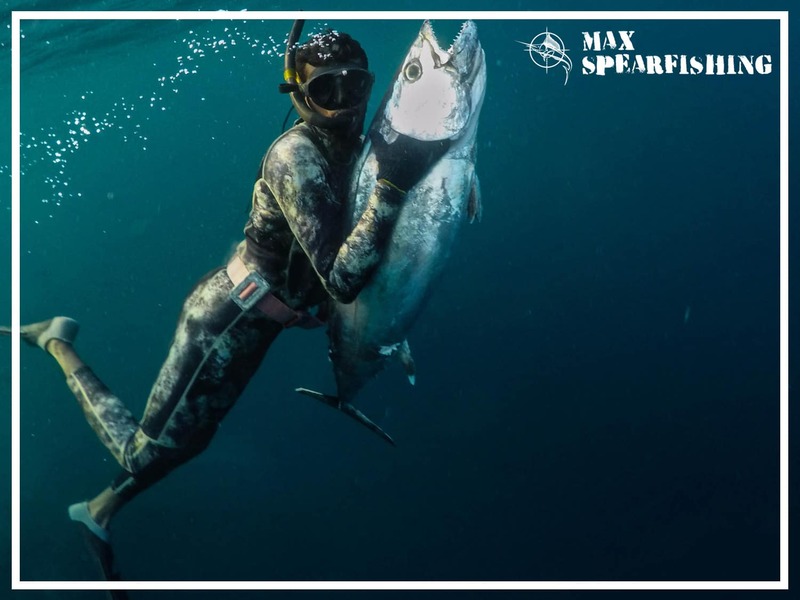 Once you start chasing the biggest fish in the ocean, you need spearfishing gear that will hold up to the stresses you’re about to put it through. Top of the list in terms of importance is finding a blue water speargun with two main qualities. It must be tough as nails to hold up against the fight the massive dogfish will give you. And powerful enough to give you the range and ability to hit your targets at a distance. 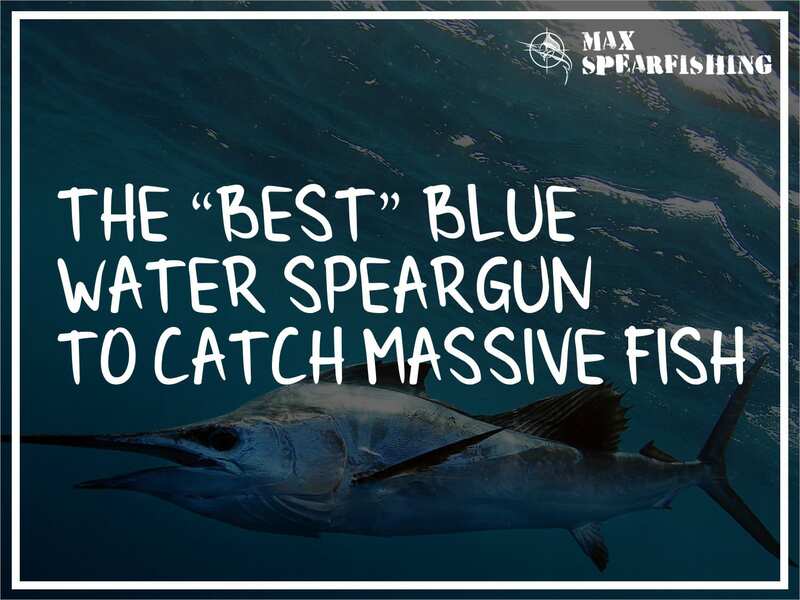 This is a double-edged sword when it comes to blue water spearguns. The longer the barrel the more power you’ll be able to transfer into the shaft. But too much and it’ll start throwing your spear off-course. Overpowered spearguns will “whip” the shaft and kill your accuracy, and even on a roller gun can send your shots on a massive downward arc. Then there’s also the problem of the barrel warping under all that pressure. 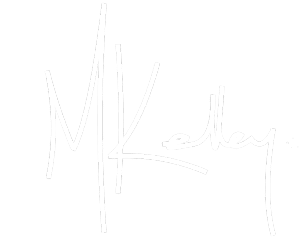 The trick is to find a balance, where you’ve got a strong, supportive stock in place, and an enclosed rail to keep the shaft flying as true as possible. With blue water spearguns there’s two main choices when it comes to handles. The rear and the mid. 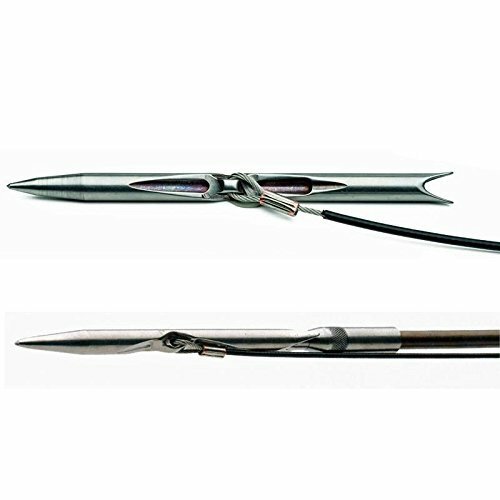 Rear handled spearguns are the standard. 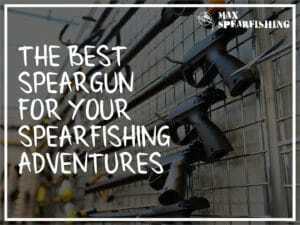 It’s what you get on most European-styled spearguns, and it’s the most user-friendly to use. 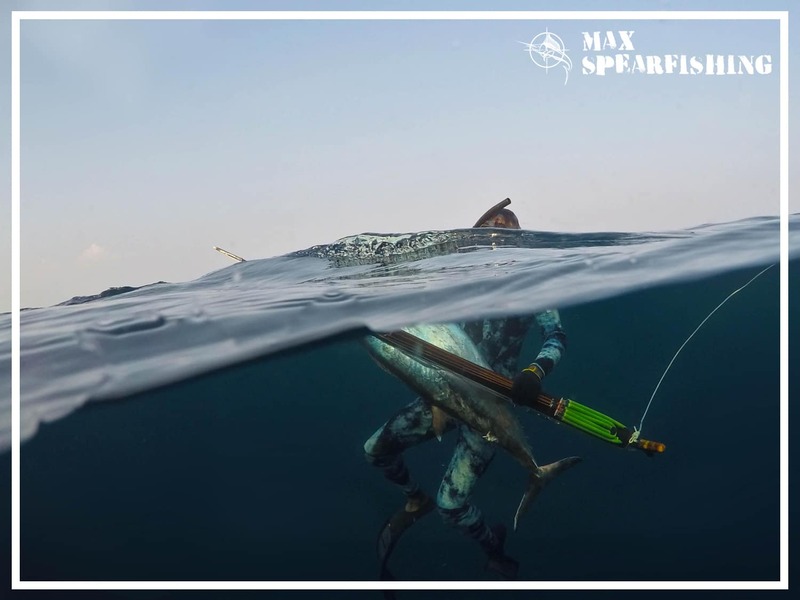 Trouble is, once you start using bigger and bigger spearguns, it becomes harder to swing the front around to aim and target a fish. So, the mid-handle was released. It moves the pivot point you’re holding closer to the center of the gun, which makes it far easier to swing through the water. 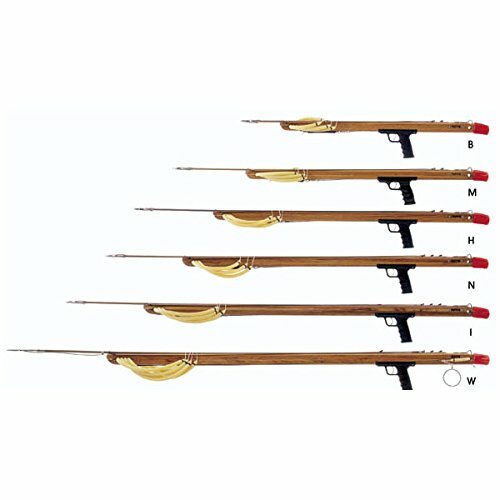 Often, these mid-handled spearguns will also allow for a longer shaft, owing to how much further back the shaft can sit. Personally, I find it much more difficult to aim and hold a mid-handled speargun steady, but many of my friends like it. Each to their own. When we say blue water spearfishing it usually means we’re going after big, pelagic fish. The name comes from the particular part of the ocean they live in (the pelagic zone), and these are the real monsters of the ocean. Blue fin tuna. Wahoo. Sailfish. Everything you see the game fisherman targeting with their deep-sea rod setups, except we’re getting in the water with them and our speargun. Understandably, you need the most heavy-duty gear possible to actually land one of these fish, and there’s three key tips you need to follow when you’re chasing them. This is the smartest piece of advice I can give you. 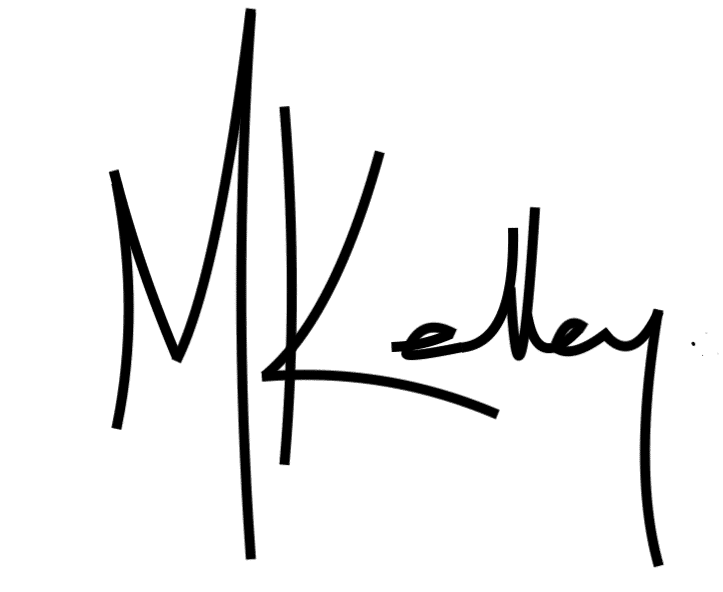 You need a breakaway setup on your speargun. 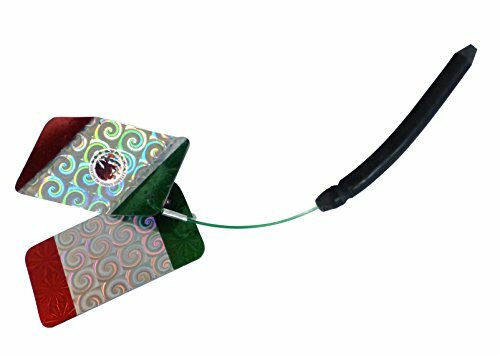 What this means is that instead of your spear being tied to the stock of your speargun, it connects to a separate floatline (and float). Once you take a shot, if the fish decides to high-tail it out of there at a million miles an hour, you’re not going to lose your gun. And the float will help you track it down and pull it into the boat. 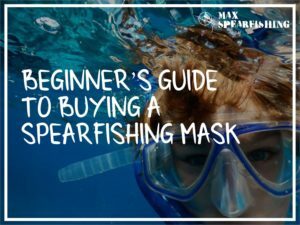 It’s the only setup I’d recommend using when you’re spearfishing in deep water, as it eliminates any possibility of a big fish running off with your blue water speargun. Just remember. Using this technique there’s now nothing keeping your speargun with you. So once you’ve made a shot slip your arm through the rubbers so it doesn’t float away while you’re pulling the fish back to you. Once fish get above a certain size, you need to start worrying about the damage they can do to your shafts. These fish are powerful, and can bend and warp even the best spring steel. Yes, even your monster 9.5mm spear the guy at the local dive shop said is indestructible. I’ve seen it happen time and time again. And no one wants to be buying new shafts after every dive. What you need, is known as a slip tip. It’s a novel little piece of gear, that screws onto a threaded shaft just like any other spear tip. But it has a trick. 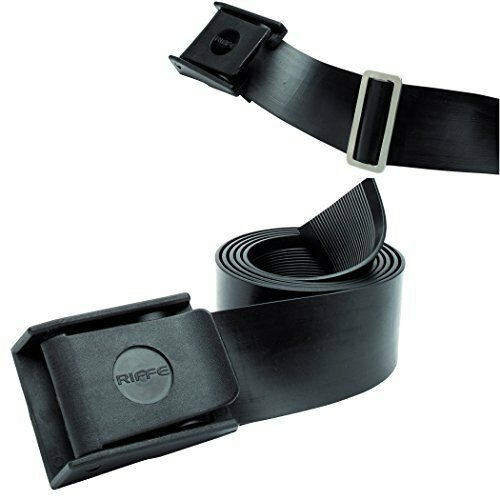 It’s able to separate into two pieces, that are joined by a piece of strong steel cable. So once you’ve hit your target fish and the spear “pulls back,” the slip tip disengages and the cable threads into the fish. This becomes what the fish fights against, and because the cable is so much more flexible than a straight metal spear, it greatly lessens the chances you’ll lose the fish, or have it bend and warp the shaft. 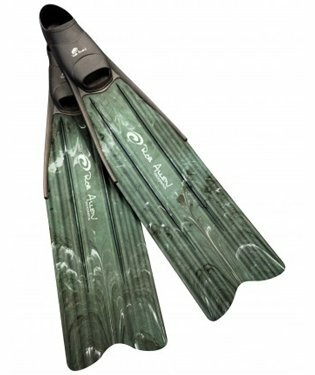 Spearfishing flashers are exactly what they sound like. A series of bright, shiny and moving objects that you use to attract fish. They work much like lures for a line fisherman, as the mirrors reflect the sunlight and bring the big fish in close to investigate. When you’re spearfishing in deep water, you need a reason for the fish like the tuna and wahoo to come in close. 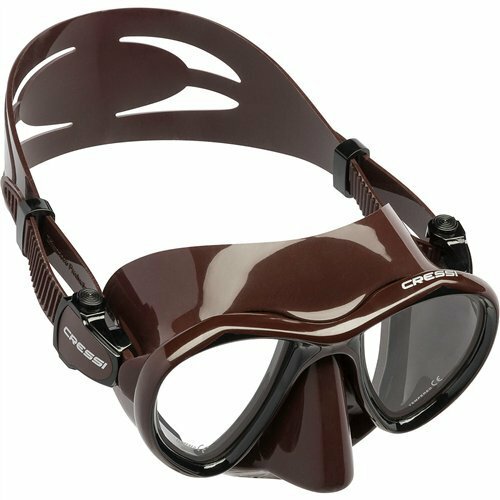 I guarantee you they’re almost always out there, but without an incentive they’re not going to come anywhere near you on a dive. Plus they’re easy to setup. Just buy a set of flashers, tie them off to a float (you will need a separate one unless you want it tangling the hell out of your breakaway floatline), and use it as a focal point on your dives. I’ve seen the best results with mirrored flashers, especially if you can find one that’ll move in the current on its own. It gets annoying to have to keep “jiggling” it on the surface. My flasher can be adjusted to about 30 feet deep, and uses a series of these types of lures along it. It works a treat. When we got these blue water spearguns in the ocean we looked for a number of traits. How much pressure could be loaded on the stock before it started flexing, at what point the shafts started warping when they were fired, and of course how well each brand held up at a distance. We also looked at usability, and how easy it was to actually load, reload and target the fish once you were in the hunting zone. I’ve got to say here, this was probably the toughest series of tests we’ve done, and it became really hard to judge between each of the different models. Once you start spending this amount of money on a blue water speargun, they’re all pretty good options. 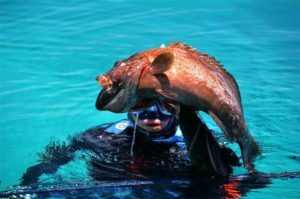 Successful blue water spearfishing comes down to your gear. 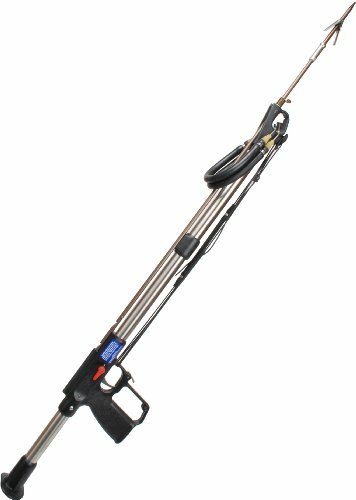 You need the right speargun that’s up to the task, and I can’t recommend enough the Riffe Blue Water Speargun. It’s already setup to handle these types of fish, and powerful enough to take them down. Then all you need to do is leverage tricks like the flashers to bring the big fish in close. That’s how you’ll be successful, and that’s how you’ll land a prize-winning fish. Oh, and do yourself a favour. 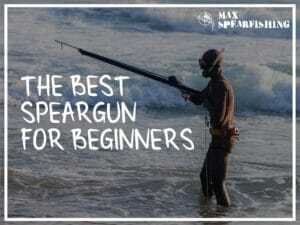 Buy the right speargun. Let me know how you go, and I’d love to see a pic of your biggest fish.